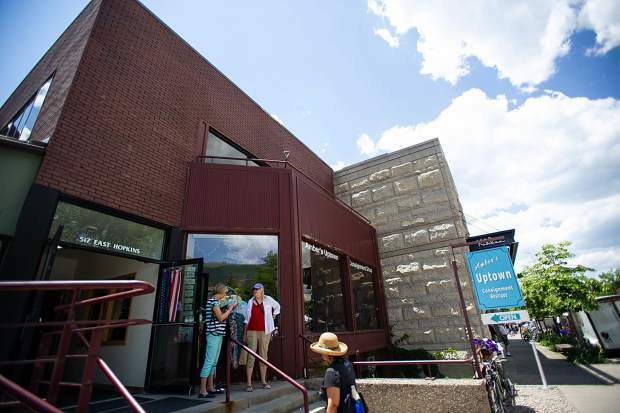 Developer Mark Hunt was denied last week by the Aspen-Pitkin County Housing Authority board on his request to replace four affordable apartments offsite from his commercial building on Hopkins Avenue. Hunt, who is preparing to redevelop the commercial building at 517 E. Hopkins Ave., told the board that he wants to build an apartment complex in the downtown core for as many as 70 people. Hunt and his associated companies own several buildings downtown that are slated for redevelopment, which will trigger affordable-housing mitigation. So instead of replacing the four studio apartments that are currently being rented in the Hopkins building, Hunt wanted to provide that housing elsewhere and fill the second floor with a commercial tenant. But the housing board agreed with the city Community Development Department’s position that all housing must be 100 percent replaced on site, per the land-use code. “I do think there is a place for housing downtown,” said APCHA board member Chris Council. The property received approval in July 2016 to demolish the existing building and construct a new two-story one with commercial space in the basement and on the ground floor, and six two-bedroom, deed-restricted affordable housing units on the second floor, a portion of which would generate affordable housing credits. The credit program allows a developer to build affordable-housing and get a credit for each unit that comes online. That credit can then be sold to another developer who uses it to fulfill employee mitigation requirements on a separate project. Then the plan changed when Hunt and the city struck a deal for municipal office space. The city earlier this year went under contract for the space, along with a portion of the building next door, for $32.5 million. It was put to the voters as an alternative option to a new municipal building between Rio Grande Park and Galena Plaza. At the time, Hunt’s building was designated an “essential public facility” and affordable-housing mitigation fell to the city. The APCHA board this past summer recommended housing credits be used to fulfill the mitigation requirements. But based on the Nov. 6 vote to construct the new city building at the Rio Grande location, Hunt’s proposed amendment in front of the APCHA board last week aimed to convert the second floor from affordable-housing units to commercial. The affordable-housing mitigation for commercial redevelopment is just under 11 full-time employees, as well as five for the removal of the existing studio apartments. All of that will have to be built on the second floor of the new building. Hunt is scheduled to go before the city’s Historic Preservation Commission for final approval next week.